“The Writers’ Conference: A Novel” tells publishing secrets. 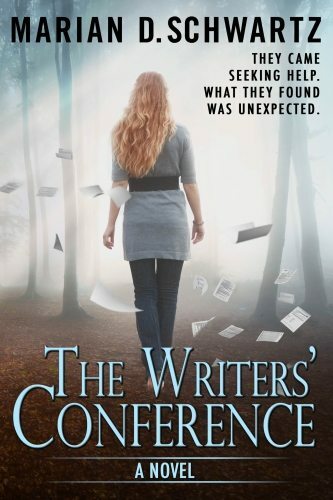 “The Writers’ Conference: A Novel” tells publishing secrets. The world of traditional publishing has secrets that can’t be kept forever. After Laura Belmont finishes writing her first novel she goes to the Clymer Workshop, one of the oldest writers’ conferences in the country. Her plan is to make a connection with one of the famous staff authors who will help her get a literary agent. She soon discovers that most of the people at the conference are attending for the same reason she is there: they want a publishing contract. But the male writers on the staff are more interested in her body than in her manuscript. She goes to creative writing workshops unaware of the literary politics being played in the shadows by the famous authors teaching her—the favors made, the courtesies given, the grudges held. Even an author’s wife becomes fair game. Laura begins to think that she’s made an expensive mistake. The only offer she gets comes with a veiled threat. Then something extraordinary happens that makes her change her mind.